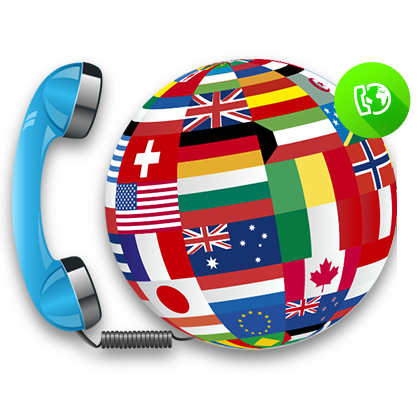 If your business calls abroad then often this can be a significant cost to your monthly telephony bills. With our international calling service, not only will you save money but we will also let you know exactly by how much. As a business the cost of international calling can often be a significant drain on your resources. However, thanks to HQ Telecom’s low-cost calls you can now stay longer on the line with your overseas contacts at a fraction of the cost – and even make those international calls from your mobile by by-passing your mobile phone network provider. Because of our business-oriented telecoms infrastructure your calls will always be clearer, meaning much better communication as you organise your operations. There are also no exceptions as to where you can call, so that your marketplace becomes truly global while you keep the cost of calling every location as low as possible. With completely transparent billing and minimal set-up requirements you’ll also know exactly how much you’re saving with our service as your business continues to benefit from your overseas contacts. Call us today on 0844 844 8585 to maintain a truly global presence at an affordable price.